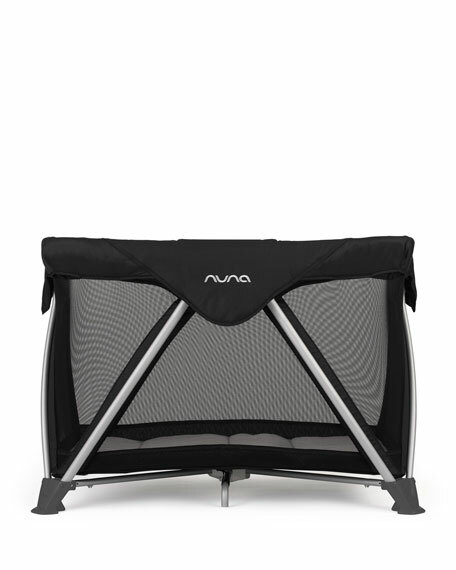 Nuna SENA Aire: same revolutionary cot  now evolution-airy. Sturdy aluminum frame that is east to transport making the SENA Aire perfect for home and away. 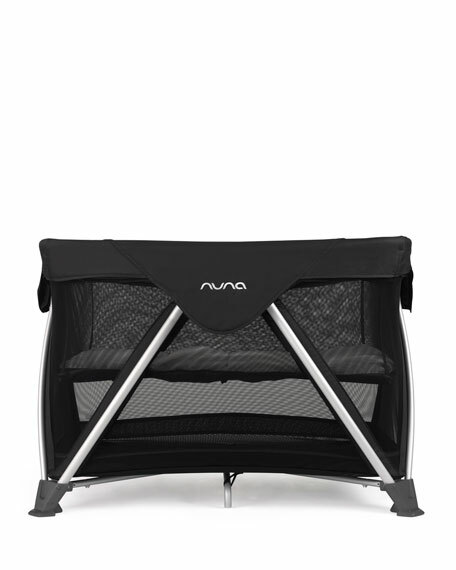 Cot folds with the frameexclusive to the SENA Series. One-handed fold sets up and folds in seconds. Soft, padded edges prevents finger pinches. Quick and easy upper cot attachment and removal. Eight support legs to increase stability. Aboveground base keeps baby draft proof. 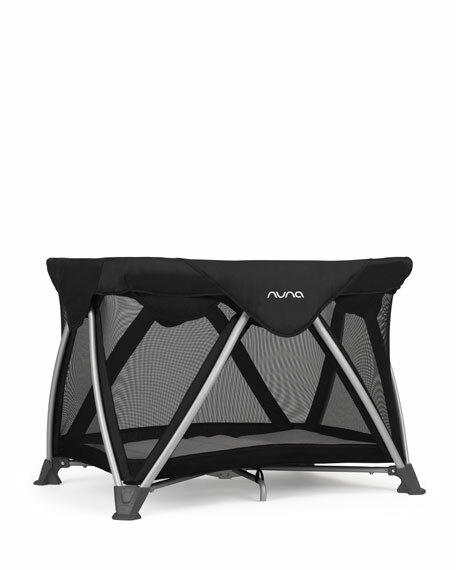 Pair with the SUITED LEAF Curv (sold separately) to create a tailor-made nursery. Travel bag included with easy-carry handle. Dimensions: 30.7"H x 41.3"W x 29.5"D.